Pan fry eye fillets on a griddle/BBQ until cooked how you like it. Melt coconut oil in a large pan. Add mushrooms and stir until softened (you might need a bit more oil). Add coconut aminos. You can add a little water too if you need more moisture. Add rest of the greens and stir until just cooked (you don’t want to overcook!). 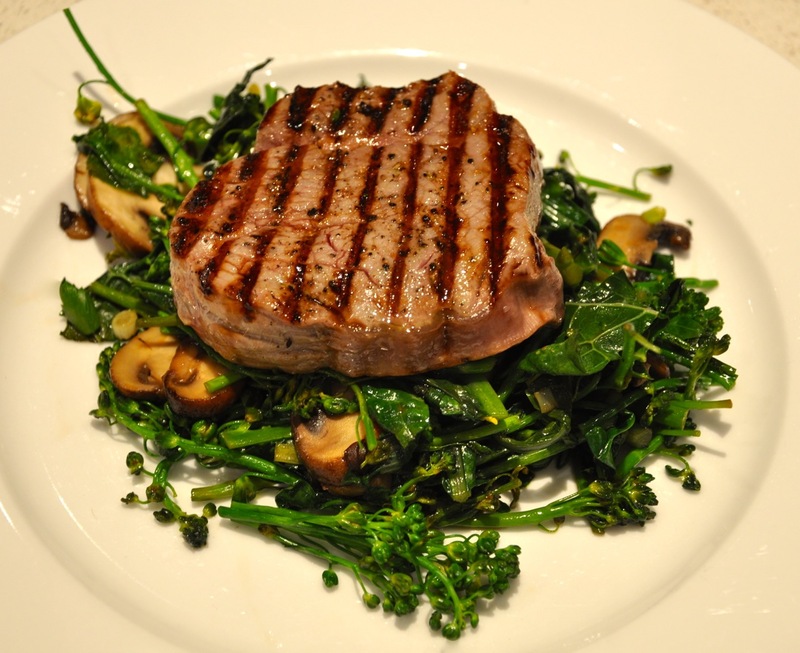 Serve the eye fillet on a bed of the vegetables. « what to do with all these greens? !